but i do give my support to any Russian clubs when they play in Europe since their wins in turn raises the football level in my country. 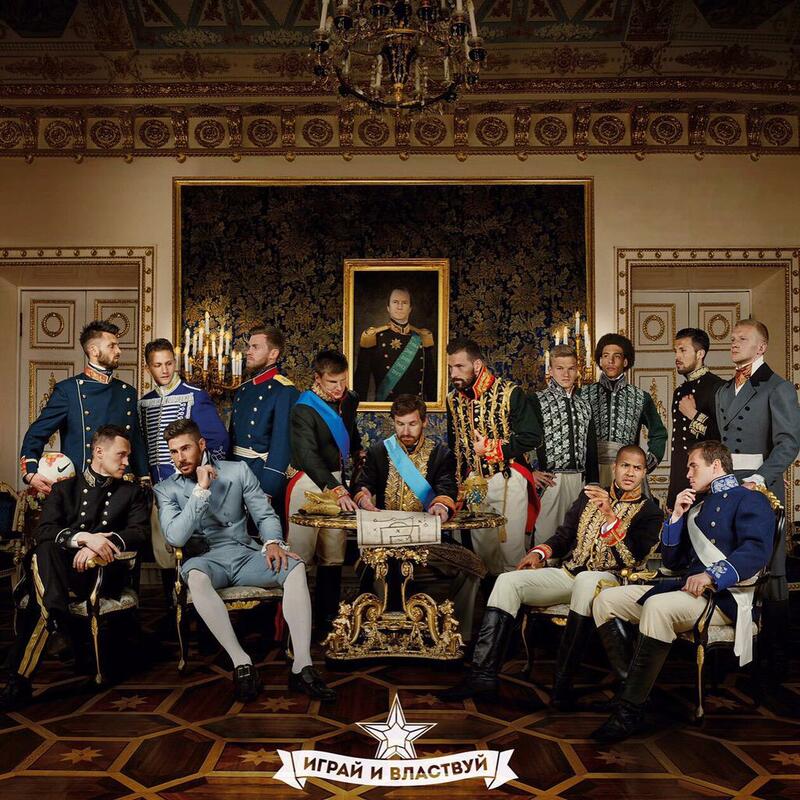 But im not a big fan of Zenit though, they have the whole complacent mentality that drives me insane. ever since they won the uefa cup in 2008 Zenit fans developed the mentality that they are one of the european giants. Rubin are officially out of the title race. It would have been impressive for them to win a hattrick of titles but I honestly didnt expect anything different this year. Luciano Spalletti is the new champion of Russia after his Zenit St Petersburg won the title. The former Roma Coach conquered the tournament on his first campaign in Russia. This afternoon the decisive match was a 5-0 triumph over Rostov with goals from Lazovic, Semak, Kerzhakov and a Bukhravov brace. 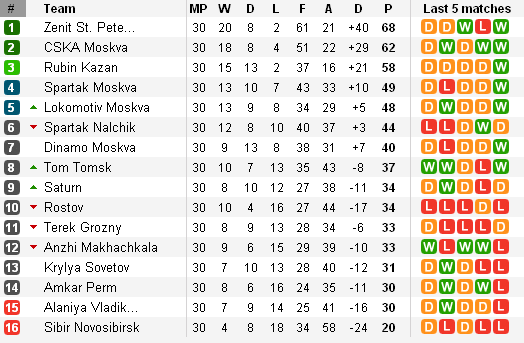 Zenit have been in front for most of the campaign and secured the title with two rounds to go. Now that the championship has been put under lock and key, reports are swirling that Spalletti could make a return to Serie A. He has been linked with the job at Inter if Rafa Benitez continues to struggle. "Of course we were all waiting for the start of the holiday after the match, and perhaps this affected the game. Maybe something was missing in terms of struggle and fighting spirit. Despite this, we played a pretty good match. This match was played not only by the team but the entire stadium, embracing each other. The result is fair Wings remain in the Premier League, particularly after the financial difficulties that they had at the beginning of the season," Spalletti told Zenit's site. "We have repeatedly seen how the fans show their joy by standing bare-chested at low temperatures, so we decided to celebrate with them. They are always celebrating, and we joined them. In a fortnights time, when I will lie in bed with a cold, I will ask them for compensation," Spalletti laughed.